Click below to learn more and see a complete break down of all the punch card options and prices. Don't feel tied to rushing home after work! 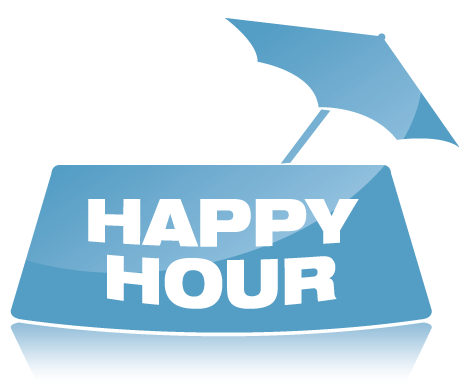 Happy hour visits are perfect for when you need to stay late or want to go out for happy hour yourself. Come, Sit, Stay will provide exercise, dinner, and/or a potty break for your pet allowing you to rest assured that your pet is cared for while you enjoy some additional time away from home. $1 Off 30 Minute Walks/Visits. Get the Word of Snout discount by referring our services to a fellow pet owner! If your referral results in a new client for Come, Sit, Stay, you will receive a ten percent discount on your next service. Max Word of Snout discount of $20 per referal.